Whether you are on the B2C market or on the B2B market, the rules for the marketers are not the same. They have to adapt their email marketing according to their audience. You should understand perfectly the difference between this 2 markets in order to send pertinent content at the right time. So what do you need to know when you plan to send out your business to business or business to consumer email marketing campaigns? Have you ever seen someone who’s made a big purchase decision let’s say an aircraft after opening a promotional email? Since the B2B sales cycle is longer it would be favorable to deliver non-promotional and educational content such as infographics, blog post, ebooks. Case studies and white papers are able to create demand for your product. Anyway, the end objective is to talk to your lead in person or by phone, your email just helps you lead to that. 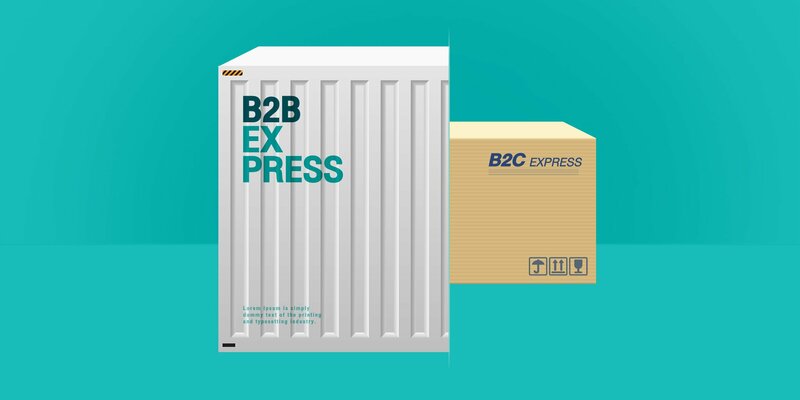 The B2C sale cycle, especially in the e-commerce websites, is all about provided content to encourage your recipients to take quick actions and make them purchase. That means to focus your email on the call to action buttons and a value proposition. The B2B email campaign doesn't need to have an appealing Email Design to encourage the customers to purchase your product. This campaigns will provide more informational value. A B2B email campaign implies thought leadership and a branding strategy. Therefore this emails should be informative with the contact of the business. A B2C email campaign has to target the buyer’s emotions with an appealing email design to provoke his emotions. They should provide the right messages, products displays, and call to action. For the B2B market, it can be harder to get in the inbox email because the companies set a Powerful Firewall, Spam Filters, and a strong computer security. For instance, they will analyze your keyword before to determine if your email marketing will go to the inbox or in the junk box. The B2C marketers must focus their email marketing with a strong reputation to get the lowest complaint rate possible. However, the difference between both markets become lower. The question most repeated about email marketing. When is the best moment to send an email marketing? Many say that doesn't matter but between both market subsist some difference. The ideal email sending time is on Tuesday and Wednesday for both B2C and B2B markets. The optimal moment to send a B2B email is during the office hours. However, try to avoid to send your email on the morning when they're cleaning all the previous emails received the eve. Even, for B2C marketers, we think is the best moment to send your email marketing campaign so, keep in mind, before 6 pm during the week. Regardless of testing your sending before sending it will help you to determine the perfect time to send your email campaign. In one hand, for the B2B email, The reply option is very important, so be sure you send you to email from someone and not an email address ''noreply@''. On the other hand, this is also right for the B2C email, but the consumers have less expectation to answer. About the content, the B2B email must include the phone number and personal data of the sender. The consumer expects the same from a B2C email so be clear about who the email is from to make it easier to contact you or ask questions. This is an important element for both markets but it can be different to implement it. In B2C email marketing campaign may include personalized products corresponding to each customer need. In B2B email marketing campaign might include a new industry story, a company news that matches better with the needs of the purchaser. The automated email will help the B2C marketers to send the recipients on their website however the B2B marketers will need a phone call in order to provide the right communication to the prospect to convince them to buy a product. For a B2B company, they will focus on and lead generation and subscriber engagement. their tactic will be the lead nurture and the content delivery. On the other hand, B2C marketers will focus on brand building, their tactics will be the data-driven product, service recommendations, and the customer's journeys. Both will have the goal to develop a revenue, send relevant messages to stay on top of the mind and get the same metrics.